According to the last census there are over 23M homes in the UK. Of which 36% were rented (see further analysis from the BBC here). There are regional variations noted in the report and we can assume from the number of property rental agencies listed that Staffordshire would reflect this split. So do you have properties that you rent out? Do you wonder how you can earn income from renting out these properties and avoid paying too much tax on your earnings? If so, you may looking to use a few tax efficient tips for rental income to accomplish these goals. 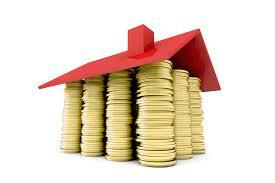 You must normally pay income tax on any profit from renting out property you own. Put simply, your profit is the sum left once you've added together your rental income and deducted any allowable expenses or allowances. The UK government thinks property and rental income is an important part of the economy - you can get plenty of good advice from gov.uk - here. The tax issues related to rental income are highlighted by the government here on gov.uk. This post is not designed to talk about the issues relating to managing or financing rental income on properties. There are plenty of advice on this matter available online or offline. Below we just want to focus on our top tax tips to save on rental income. Our 3 Top Tax Tips For Rental Income! Landlords - Mortgage interest can be claimed even before the property is let, if you can show you have been marketing this property actively. Landlords - losses caused by capital allowances on a rental property can be set against your total income. Landlords - the costs of replacement bathrooms and kitchens are fully tax deductible in the year the expense was incurred. Landlords - travel to and from the rental properties to deal with tenancy matters can be deducted from income. Landlords - a proportion of the use of your home as an office to prepare the property accounts and do any administration can be deducted from income. Landlords - a proportion of your total telephone or broadband costs dealing with the administration of the properties can be deducted from income. These tips with regard to tax relief on rental income apply whether the property is owned by you or your company. Delay replacing furniture in your rental property until after April 2016 if you currently use the 10% Wear & Tear Allowance so you can claim the full cost as a repair. That if the rental profit (gross income less allowable expenses) is less than £2,500 a year, and the gross rental income (before deduction of expenses) is less than £10,000 a year, you can ask HMRC to collect any tax due through your PAYE code allowing you to avoid the inconvenience and potential costs of preparing a tax return. However if you are already completing a tax return then bonus tip. Ask the Taxman to remove any property income from your tax coding if you fill in a tax return to help your cash-flow and avoid the early payment of tax. If you know of any other great rental income tax tips that can be shared with our readers then let us know via the comments or through LinkedIn. Don’t be shy about claiming or using your legitimate tax exemptions on rental income from the tax man - good for you, your bottom line and your property!